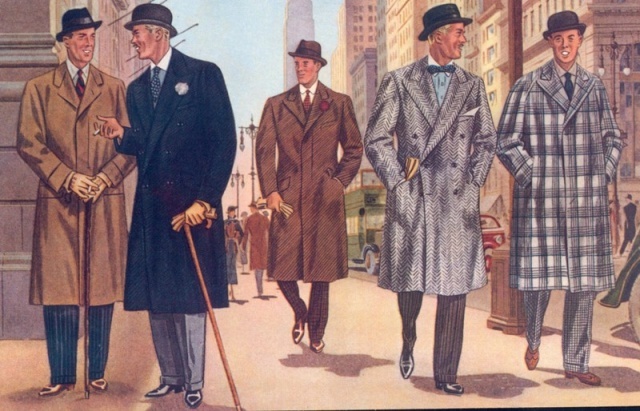 Ulster, Paletot, Chesterfield, Reglan, Covert, Montgomery, Trench, Loden … are just among the most popular models of coats. 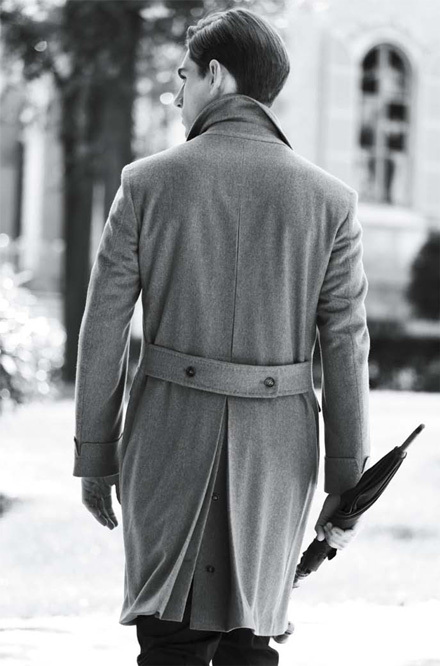 All with a military DNA, or at least they were born to meet a specific need, the coat is one of the emblems of the masculine elegance, in addition to being the best ally against cold winter temperatures. I have spoken in detail previously about some of them, but let’s see some of these models, as they differ one from the other, hoping that these advices can be useful should you choose the one for you. Straight from Ireland, here we have the Ulster, whose name derives from the city of origin, in Donegal tweeds, it is wide and usually long to the knee. With six or eight buttons, it has narrow lapels and patch pockets. The Paletot is typically with six buttons, more wide at the hips, it has lapels and welt pockets. 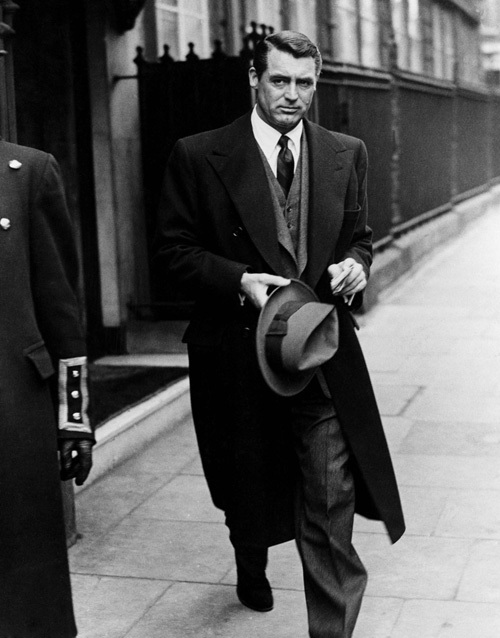 The Chesterfield is the coat for the city, a classic three-button which has also a double-breasted version. Edged pockets with an additional pocket on the left chest area. The Reglan is what we now call “over size”, large and long it has the distinction of the lap-sleeve sewn diagonally. Loden, a Tyrolean classic, is very popular in Europe and is appreciated not only by the male world. Made with the homonymous fabric, the Loden, it has a flared shape, sleeves with flap, slanted pockets and special leather buttons. Ulster, Paletot, Chesterfield, Reglan, Covert, Montgomery, Trench, Loden… sono solo alcuni tra i modelli più conosciuti del soprabito. Tutti dal DNA militare, o per lo meno nati per rispondere ad una precisa esigenza, il cappotto è uno degli emblemi dell’eleganza maschile oltre che essere ottimi alleati contro le rigide temperature invernali. Di alcuni ne ho parlato in maniera approfondita precedentemente ma vediamo alcuni di questi modelli come si differenziano tra di loro, sperando che possano essere nozioni utili qualora doveste scegliere quello che fa per voi. Direttamente dall’Irlanda abbiamo l’Ulster ,nome che deriva proprio dalla città d’origine, in Donegal tweed è di norma ampio e lungo fino a sotto al ginocchio. A sei o otto bottoni , ha revers stretti e tasche applicate. Il Paletot è tipicamente a sei bottoni, più sfiancato, presenta revers a lancia e tasche a filo. Il Chesterfield è il cappotto cittadino, un classico tre bottoni che poi ha preso il via anche nella versione doppio petto. Tasche a filo con l’aggiunta del taschino sulla zona sinistra del petto. Il Reglan è quello che oggi definiamo “over size” , ampio e lungo ha la particolarità del giro-manica cucito in obliquo. Loden, un classico tirolese, è molto diffuso in Europa ed è apprezzato non solo dal mondo maschile. Confezionato nell’omonimo tessuto, Loden appunto, ha una forma svasata, maniche con aletta, tasche oblique e dei particolari bottoni in cuoio.